The second part of the three part 3DCS Essentials Series, this webinar focuses on creation of a 3DCS model, which includes use of embedded GD&T (PMI in NX and FT&A in CATIA) as well as Joints and Constraints. Chicago, IL – Dimensional Control Systems (DCS) will join the world’s leading manufacturers at the International Manufacturing Technology Show (IMTS) in the McCormick Place, Chicago, Il, September 12th – 17th to showcase the complete PLM solution for manufacturing quality. The upcoming release of Version 7.4 for 3DCS brings with it new features including the new Degree of Freedom Counter for 3DCS Mechanical Modeler Add-on. 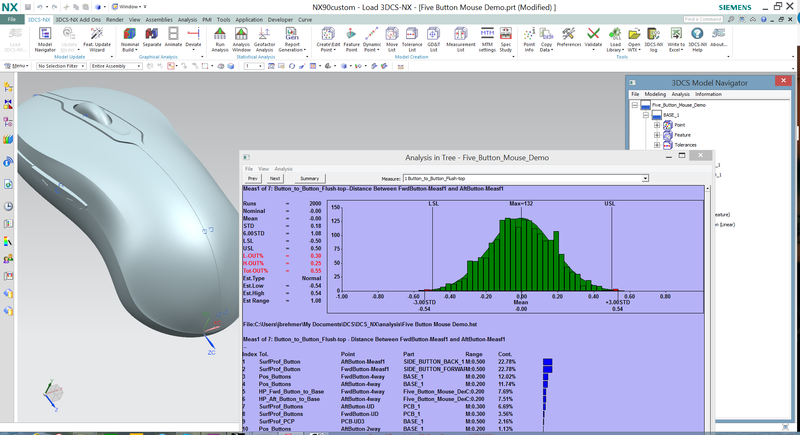 From the second part of the 3DCS for NX series, the webinar focused on the add-on module 3DCS Mechanical Modeler and the Degree of Freedom (DoF) Counter, new for the upcoming version 7.4 release. 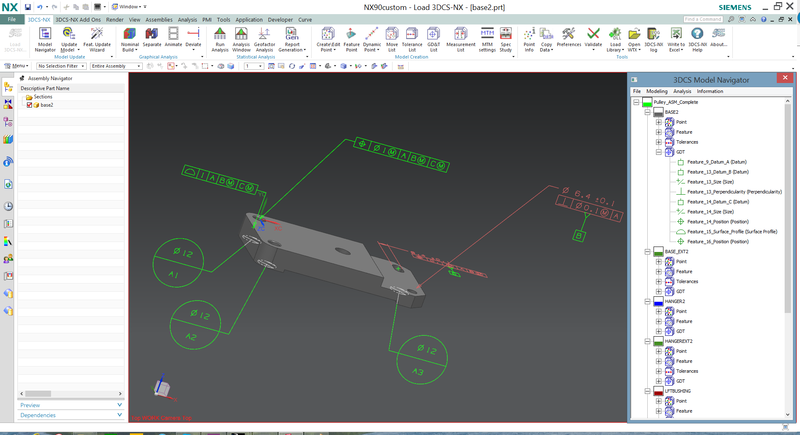 This new feature will be available for all versions of 3DCS: CATIA V5 integrated, CATIA V6 3DEXPERIENCE integrated, UG NX integrated and the Multi-CAD standalone version.